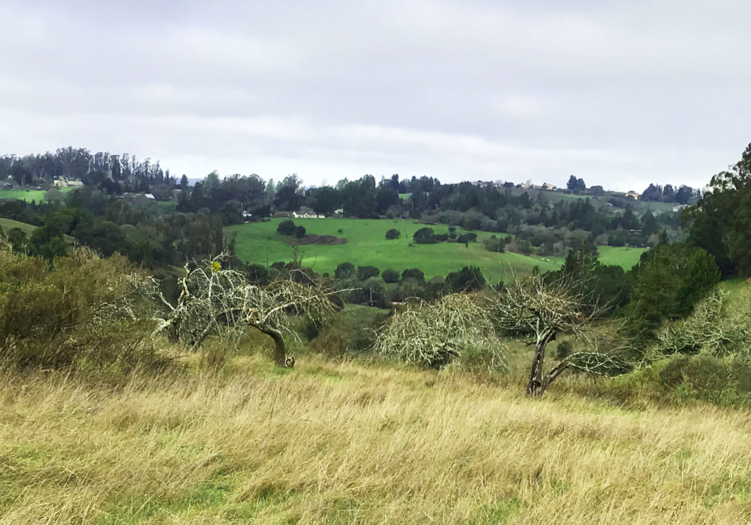 Estate residential and vineyard development potential in the south Sebastopol hills with outstanding view building sites, 2 lots possible per zoning, a new well that produces approx. 10 GPM and 5-6 ac. suitable for vineyard dev. with high-quality Pinot Noir and Chardonnay vineyards in the area. Rebuild existing house and build estate residence at higher elevations. Tons of potential for a buyer with imagination.